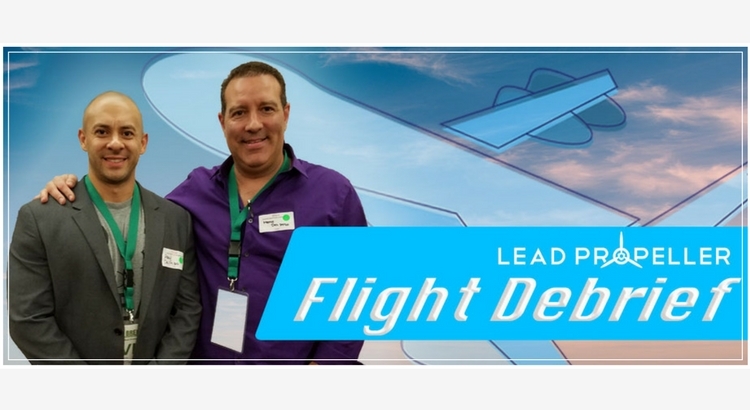 Welcome to the very first LeadPropeller Flight Debrief, where we highlight the success of one of our LeadPropeller customers! This month’s debrief will be about Paul Del Pozo’s first year in real estate investing, and the birth of the Del Pozo Investment Group! Almost exactly a year ago, Paul found himself in a similar situation to most real estate investors when they first start out – needing money. But with just Paul’s first year in real estate investing, he was able to achieve financial freedom by starting his own business and closing 3 deals in just a matter of months! Ready to hear his journey? Let’s find out how he did it. After selling his old business and finding himself in a sort of financial limbo, Paul was looking for a way to bounce back and support himself and his family. He was browsing online and came across a webinar about real estate investing and started listening. He was hooked. Paul reached out to his cousin, Marco, who was already investing in real estate and wholesaling houses, and asked for some advice. From there, Paul and Marco became a real estate investing team! Paul went all in, and started attending meetings at his local Real Estate Investor’s Association in Broward County, Florida. After taking BREIA’s two day boot camp, Paul began driving for dollars and knocking on houses to hunt down his first leads. In just two weeks he found his first lead! A foreclosure with a sale date coming up. He made his move, describing it as “exciting, but terrifying”, and sold the property with the help of the Broward Real Estate Investor’s Association. Paul was able to use contact from BREIA’s buyers list to find someone to sell the property to. His entire first deal was closed in an astonishing 2 weeks! All said and done, from late January, to being in contract in May, to selling the house in early June, Paul’s first deal was a quick success, paving the way for a great first year in real estate investing. Now having been bit by the real estate investing bug, Paul was hooked! He came back from a family vacation with even more drive and energy to continue in real estate investing. He began looking for podcasts to listen to so he could strengthen his business, and ended up finding Danny Johnson’s Flipping Junkie Podcast. Once he got his LeadPropeller websites, he and Marco were off! Now with a close personal and professional relationship, Paul and Marco established the Del Pozo Investment Group. With the expansion they were seeing, they moved a lot of their business toward being automated with the help of LeadPropeller and their CRM, REImobile. By moving their business to online lead generation, the Del Pozo’s were able to track their leads better, market their business better, and grow their conversions faster. Plus, Paul didn’t have to go driving for dollars anymore now that his leads were coming from motivated sellers finding him online thanks to his websites! So, what does Mr. Del Pozo have in store for this year? With Marco established in New York, and Paul established in Florida, their business is already in two markets. However, they are looking to expand to a third in 2017 with the revenue they made from their first year in real estate investing. And, at the start of the year the Del Pozo Investment Group already has 2 houses under contracts ready to close! “We are self generating a lot of leads by working the MLS and keeping track and doing automated follow up through REImobile. We are currently putting out over 200+ offers a month, so it’s really important for us to stay organized,” Paul told us when we asked just how he manages it all. We couldn’t have said it better ourselves, Paul. What a year! From being in financial limbo to achieving financial freedom, Paul Del Pozo’s first year in real estate investing sure had an awesome start! Good luck in the coming year, Del Pozo Investment Group, and thank you again for being such a valued LeadPropeller partner! That was this month’s Flight Debrief – Paul Del Pozo, over and out. This was so awesome to see, Paul. Way to take action after the boot camp! Congrats on all your success!